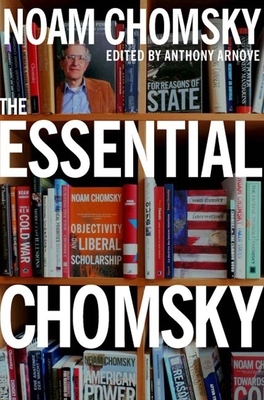 Noam Chomsky is the Institute Professor and a professor of linguistics, emeritus, at the Massachusetts Institute of Technology. A world-renowned linguist and political activist, he is the author of numerous books, including On Language: Chomsky's Classic Works Language and Responsibility and Reflections on Language; Understanding Power: The Indispensable Chomsky, edited by Peter R. Mitchell and John Schoeffel; American Power and the New Mandarins; For Reasons of State; Problems of Knowledge and Freedom; Objectivity and Liberal Scholarship; Towards a New Cold War: U.S. Foreign Policy from Vietnam to Reagan; The Essential Chomsky, edited by Anthony Arnove; and On Anarchism, and a co-author (with Ira Katznelson, R.C. Lewontin, David Montgomery, Laura Nader, Richard Ohmann, Ray Siever, Immanuel Wallerstein, and Howard Zinn) of The Cold War and the University: Toward an Intellectual History of the Postwar Years and (with Michel Foucault) of The Chomsky-Foucault Debate, all published by The New Press. He lives in Lexington, Massachusetts. Anthony Arnove is the editor of Iraq Under Siege and co-editor, with Howard Zinn, of Voices of a People's History of the United States. His writing has appeared in the Financial Times, The Nation, Mother Jones, Monthly Review, Le Nouvel Observateur, Z Magazine, and other publications. He lives in Brooklyn, New York.